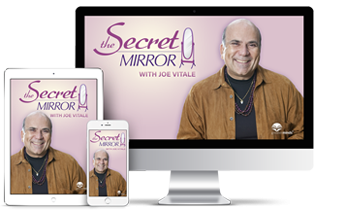 The Secret Mirror™ 3.0 System - Watch Joe Vitale demonstrate The Secret Mirror in easy to follow steps for you on video. This is the exact system that Joe practices every single day. You will also sit in on his own personal mirror sessions to gain more clarity. New Step-by-Step Video Demo Sessions - Watch as Joe walks through The Secret Mirror System with four participants (just like you), and see how Neil, Desh, John and Kim transform like butterflies emerging from their cocoons. Plus, watch more videos shared by other members of the community. Zero Limits III - Over 8 hours of video recorded at Dr. Joe Vitale & Dr. Hew Len's 'Zero Limits III' 2 day Seminar Event, including the effortless guided data cleansing breathing exercise, cleaning away the negativity in your life, and learn exactly how to get into 'FLOW'. Attract Money Now LIVE Video - Watch Dr. Joe Vitale share his touching story about how he learned to attract abundance into his own life. Plus, enjoy his best-selling, Attract Money Now ebook too! Action Bonuses - You'll also receive 'Your Superpowers Dream It, Achieve It ' by Steve Gardner, and 4 other special eBooks by Dr. Joe Vitale including 'How to Attract Time and Money'. Follow these proven steps to transform and balance your way of life for the better so you can awaken you passion and find your meaning in life. Bring me your passion and conviction, and I'll show you how, using The Secret Mirror, you can attract abundance into your life, with the long misunderstood and missing scientific 'formula' behind the Law of Attraction. You will find the potential to step into your dream life, elevate your mindset, remove the limiting beliefs that have held you back and emerge with a simple practice that will guide you daily for the rest of your life. 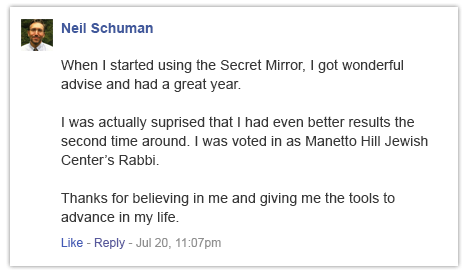 How is The Secret Mirror different from other programs? While there are other incredible programs out there from incredible teachers that can unlock new levels of prosperity and success, Dr. Vitale created a stunningly unique transformational experience you can't find in any other program. The Secret Mirror is a unique approach that has been designed from Dr. Vitale's own life experience overcoming great obstacles, becoming a self-made millionaire, and living a life of passion and soulful purpose of his own design. But HOW we teach you is completely unique. You learn how by watching Joe using the process himself on video. You then see it being used with 4 hand-picked students so that you can watch and understand the full process on video. All video modules are short and to the point. In addition, everything is incredibly simple and straight forward. The combination of this unique, empowering, and breakthrough training and the transformational experience is waiting for you unlike anything you've done before. All of this is yours to keep for lifetime. Last but not least: you'll get access to a private Facebook group where you can ask a question or share a success story directly with Joe Vitale and the support team at TheLawOfAttraction.com. You can also reach out to Greater Minds Customer Happiness Team anytime you need them. Who is Joe Vitale and why should I listen to him? Dr. Vitale has spent over 30 years training people just like you achieve wealth, prosperity, and spiritual awakening. With hundreds of success stories, he has one of the best track records in the personal development community. 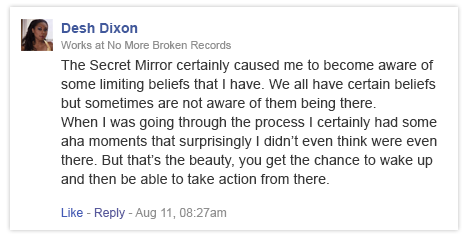 One reason why was the own extreme struggles he had to overcome. Dr. Vitale was homeless and in extreme poverty for 10 years in Houston, TX. He was a victim of his own self-sabotage, limiting beliefs, and counter intentions holding him back. But, through great study and effort, he developed his own path to not only escape poverty, but to become a self-made millionaire. But he didn't stop there: not satisfied with just money, Dr. Vitale found his own way to live a spiritual, passionate, and meaningful life while commanding the financial freedom to allow him the lifestyle of his own design. Joe Vitale is on a mission. You are not only benefiting from his years of proven results, but you're benefiting from the intensity of his own passion and inspiration. He is the author of way too many books to mention, including the bestsellers "The Attractor Factor," "Zero Limits" and "The Secret Prayer"He also starred in the hit movies "The Secret," "The Opus," "The Compass," "The Tapping Solution," "Leap," etc. New: "The Abundance Factor" and "iThink"
The Secret Mirror 3.0 program is delivered via Greater Minds membership platform. We use leading technology to make sure you have the best e-learning experience. Simply log in - and all the videos, audios and other items are there for you, ready when you are. The program is intuitive to use but if at any point you have questions, just contact our friendly customer happiness team and they'll be happy to help you. How do you guarantee the results? A: We do believe that you're a powerful manifestor... But if you start doubting your own superpowers, please remember that you aren't actually putting anything on the line when you enroll in The Secret Mirror. You have 60 days after you sign up to follow the simple instructions and in the unlikely event that you aren't 100% thrilled with the results - our team will provide you with a prompt and courteous refund.